Condo Buyer's Kit - Association Evaluation LLC. HOW TO INVEST IN A CONDO WITH YOUR HEART AND YOUR HEAD. Here’s to happier home hunting with PARScore. That’s our real mission– to help you invest in a condominium with your heart and your head. Never buy blind: Register Now for FREE Condo Buyer’s Kit. Your Buyer’s Kit includes useful advice and tips, cost comparison charts, a sample of our management questionnaire, and the PARScore riders you’ll want to use when you’re ready to buy your condo. Submit your offer to the seller. 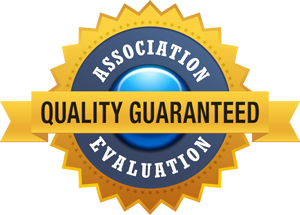 Include our Condominium Association Inspection Contingency Rider®. Order and receive your PARScore℠! We provide the tools for you to decide if the condo or homeownder association is the right investment for you. Typically, it takes five business days from the date Association Evaluation receives the documents (for the association that is being evaluated) to obtain PARScore. Already have your condo/HOA documents? As a potential buyer, you are legally entitled to an association’s documents before you commit to purchasing. Upon request, your real estate broker or the seller of the property must provide you with documents (not all exist for every association) that you’ll see in the list below. And with a PARScore, you’ll not only have access to these documents, we review them for you, as well as perform an on-site inspection, to come up with a PARScore for the property. Visit our Frequently Asked Questions page for more general information or visit the Buyers Page for more information about Association Evaluation and its services. * Consult with your attorney, accountant and/or financial advisor for advice on your situation. Finally, Your Background Information For Condominiums Can Be This Comprehensive.